Facebook advertising can help you boost your reach and zero in on your perfect clients. The problem is that, while the idea is simple, there’s a lot of opportunity for frustration in practice. 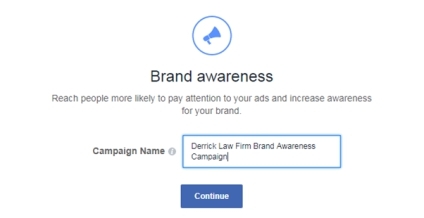 We created this simple, step-by-step guide to help attorneys, doctors, and other professionals gain a better understanding of advertising campaigns through Facebook and how to create an ad themselves. Before you start creating ads, our social media advertising team highly recommends that you first set up a Facebook Business Manager account. From there, you can set up Ads Manager and create your ads. Doing it all through Business Manager makes the whole process go a lot more smoothly, especially if you need help or have multiple people working on your social media accounts. It’s also important to keep Facebook’s advertising rules in mind as you think about the kinds of ad campaigns you’d like to run. Facebook will reject ads that feature photos or text that are too “sensational” or alarming. Facebook could also suspend your account if you use unethical targeting tactics that focus on sensitive subjects. For example, you can’t directly target a list of people charged with local drunk-driving offenses from your local courthouse, but you can create a DUI-focused ad that goes out to a more general audience. The last thing to keep in mind is that Facebook’s advertising features change all the time. Facebook is constantly making updates, and those updates don’t always hit everyone at once. What one person sees isn’t necessarily the same as what someone else sees when they open the Ads Manager. 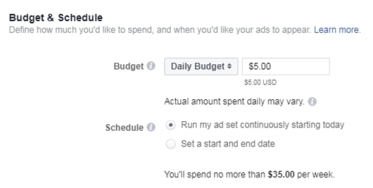 For example, Facebook announced in September that it will be combining the Power Editor and Ads Manager into a more powerful Ads Manager tool, but those changes are still being rolled out to users in waves. Why start with brand awareness? 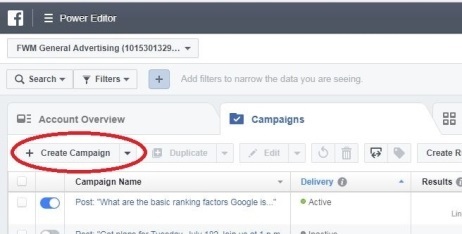 This type of campaign is going to give you a ton of actionable data about your audience, as well as the opportunity to establish a stronger presence in your local area. It’s a great place to get started because it can provide a strong foundation for future campaigns. First, the easy part. It’s time to name your campaign. Keep in mind that a campaign can have more than one ad set, so you don’t need to worry about getting too specific with the campaign name. Press continue when you’re done. 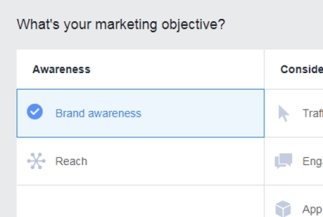 Facebook allows you to get extremely specific with the audience targeting for your ad. For example, you can target people who have recently purchased motorcycles—or even people who have Liked your competitors’ pages. There’s a lot of flexibility here, which you can use to your advantage. You can create one ad set to deliver different ads to similar demographics, or you can create multiple ad sets to deliver different ads to varying demographics. Your target audiences are a hugely important part of creating Facebook ads that work. 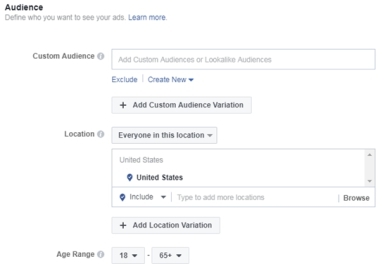 If you’re confused, take a few minutes to learn more about how to create a custom audience for your Facebook ads. Need some direction? Learn more about the available Facebook ad formats and how to use them. However, don’t be afraid to experiment with the different formats and see what works best for you. With ad tracking over time, you’ll have the data you need to determine what kinds of ads are accomplishing your goals. Once you’ve selected a format, you will be able to add your images, video, or slideshow. Then, add your headline, text, and destination URL. Make sure you stay within Facebook’s character limits for text, and aim for content that is short and sweet. At this point, you can also choose a tracking pixel, add a call-to-action button, and otherwise customize your ad. Once you’re happy with the look of your ad, you’re basically done! Click “Place Order” at the bottom of the ad creation page to review your payment options. 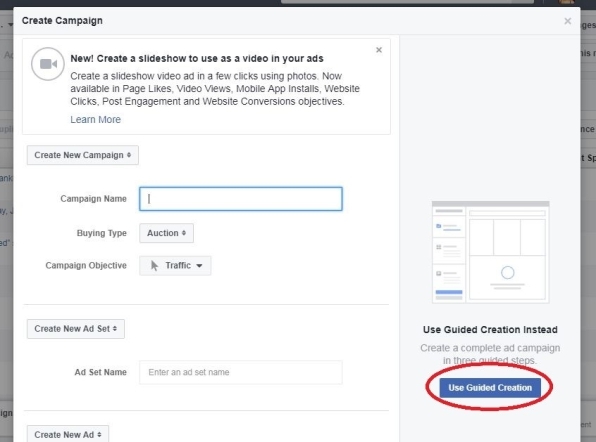 Do you have questions about creating ads for a Facebook audience? Do you need help building social media ad campaigns that work? Reach out to our social media marketing experts today for straightforward answers and actionable advice. Who Is Your Perfect Client or Patient?